According to Wikipedia, there are 375 species of birds in the North African nation of Tunisia. Years ago, there were more but those species have already gone extinct and if the government doesn&apos;t crack down on their lax hunting restrictions the number of extinct Tunisian avifauna is bound to climb. Earlier this year, the Lebanese Hunting Club set the net ablaze with a Facebook post showing several hunters standing behind piles of dead birds. More birds than anyone or even the several hunters together could eat. 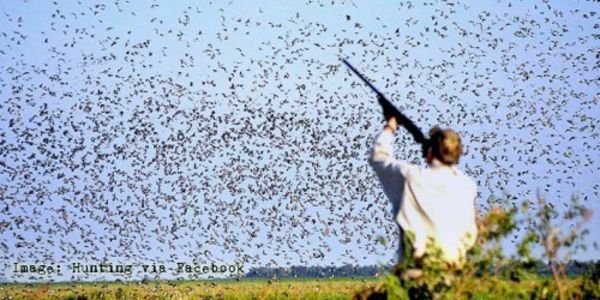 While people were outraged, this style of uncontrolled mass killing of animals and birds for sport is currently legal. Despite the global decline of bird numbers and the Tunisian government has decided to continue to allow their birds and other animals to be killed at unsustainable and irresponsible levels. Currently, each hunter is allowed a jaw-dropping 350 rounds of ammunition. That means they could potentially take 350 animals in one trip! This type of hunting must be reigned in or Tunisia&apos;s animal species do not stand a chance. Please call on the Tunisian government to end "industrial scale hunting" and protect their native wildlife.